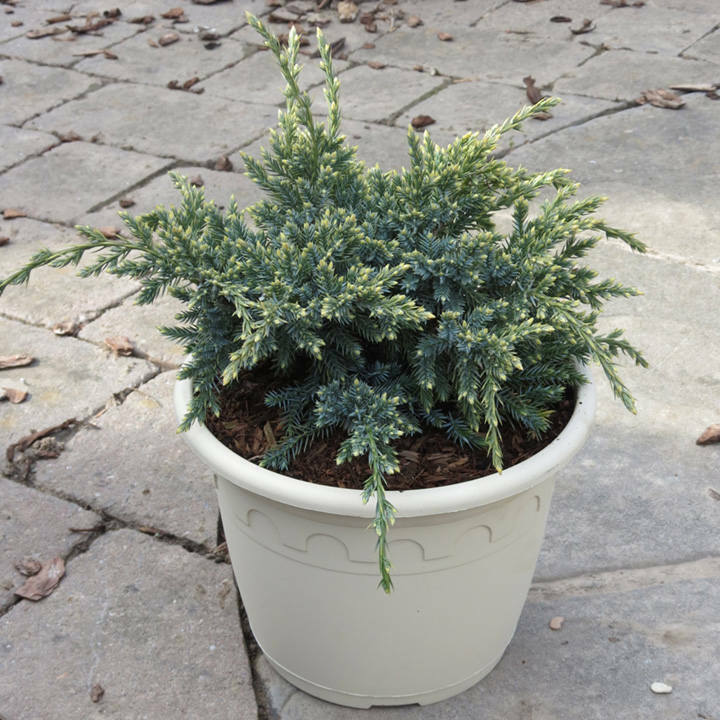 This prostrate or horizontal growing variety has cream-yellow coloured new growth which contrasts well with the bright blue older growth giving a further point of interest on this evergreen which already provides colour and interest throughout the whole year . 'Holgar' can be used as a low growing plant or ground cover whether in a border, rockery or to cover an area. Supplied in a 7.5-10 litre pot. 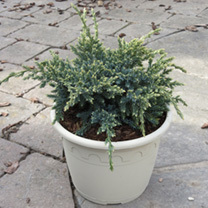 This prostrate or horizontal growing variety has cream-yellow coloured new growth which contrasts well with the bright blue older growth giving a further point of interest on this evergreen which already provides colour and interest throughout the whole year . 'Holgar' can be used as a low growing plant or ground cover whether in a border, rockery or to cover an area. Supplied in a 3 litre pot or 7.5-10 litre pot.